Play 10 Poker hands at once! LIMITED TIME BONUS. 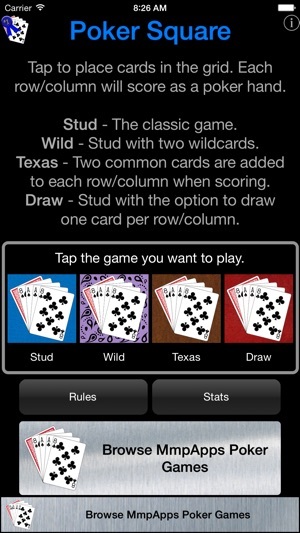 Play Draw & Texas for free, no need for an in-app purchase. 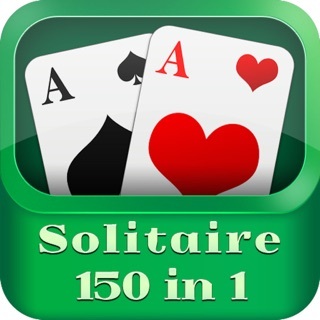 A game of poker solitaire. In the free game POKER SQUARE STUD you place cards in a 5x5 grid. 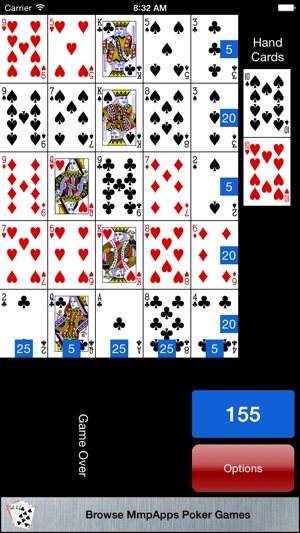 Each row and each column is a scored as a poker hand. The objective is to maximize the sum of the 10 scores (five row hands and five column hands). In POKER SQUARE DRAW we add a twist where you can discard and re-draw up to five cards. No two discards are permitted in the same row or the same column. This makes POKER SQUARE DRAW more strategic than POKER SQUARE STUD. 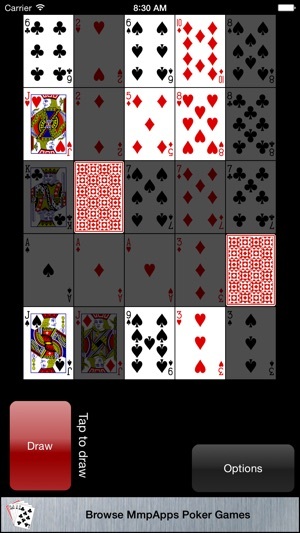 In POKER SQUARE TEXAS HOLD'EM you place your cards in a 5x5 grid or two common "hand" cards. Each row and column, together with the common "hand" cards, is scored as a Texas Hold'em poker hand. 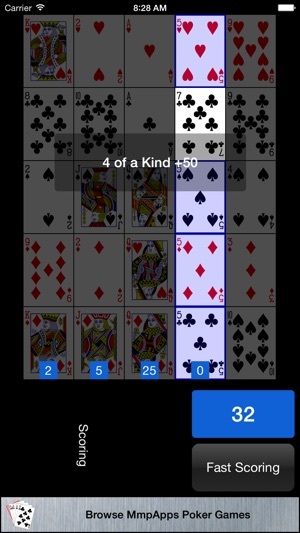 In POKER SQUARE OMAHA HOLD'EM you place your cards in a 5x5 grid or four common "hand" cards. EXACTLY THREE cards from each row and column, together with EXACTLY TWO common "hand" cards, is scored as a Omaha Hold'em poker hand. Omaha Hold'em is only available on the iPad. 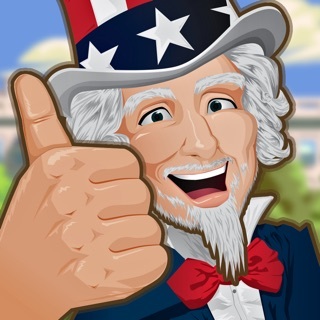 All three games are Game Center enabled so compare your scores with others around the globe! This a nice program that does what it’s supposed to do well. It’s lean, takes up little space and behaves well. 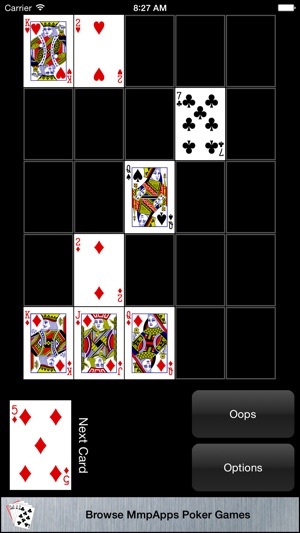 No real complaints other than a tiny request..
Could you give the option to score the diagonals on the board? Also you don’t really need to spend any money either. During some breaks between games you need to watch a promo which you can close after five seconds. Can’t get much fairer than that! Everytime me and my friend play match play the card repeats all the time.